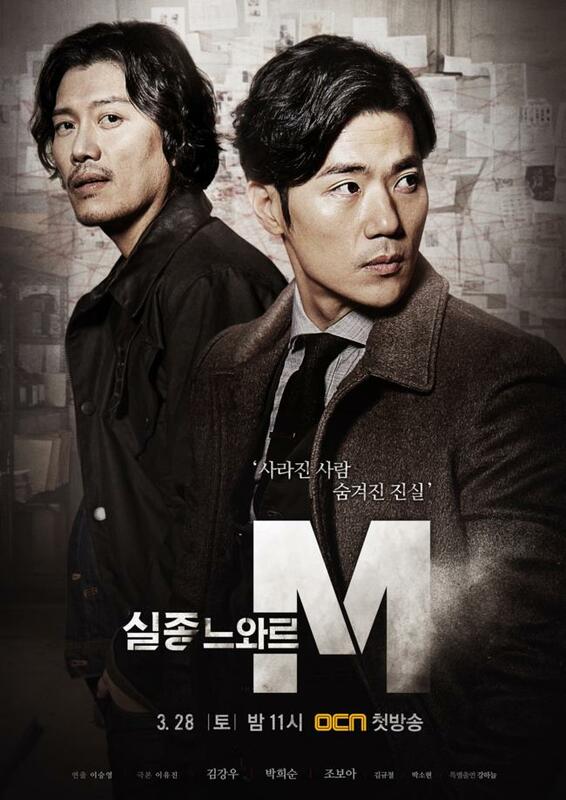 A highly underrated series, Missing Noir M is a drama that's unforgettable once you've seen it. A little throwback to discuss a drama that aired a few years back. With so many new K-dramas coming out, it's nice to get your hands on a completed series that doesn't disappoint from beginning to end. Or maybe I'm slightly fed up with having to patiently wait every week for an episode of Thirty But Seventeen? Plot Summary: Gil Soo-Hyun (Kim Kang-Woo) decides to return to South Korea after working for the FBI for years. 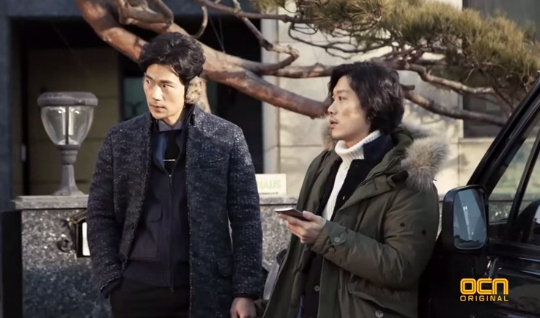 An analytical genius who attended Harvard at a young age, Soo-Hyun's sudden return is shrouded by mystery. He becomes sought after by the police to join them, tackling unsolved crimes as part of a Special Investigations Unit. 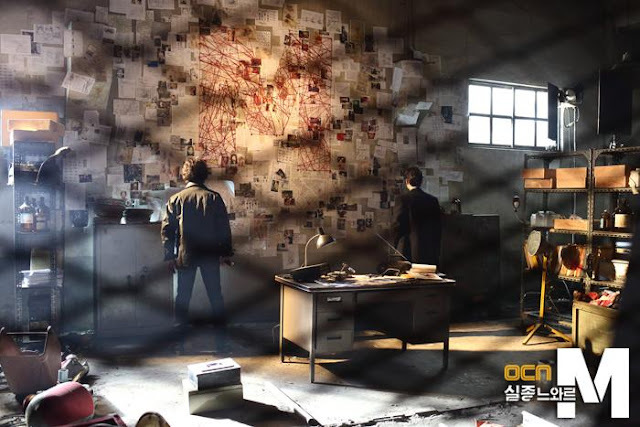 Joining him are Detective Oh Dae-Young (Park Hee-Soon) a veteran with years of experience and Jin Seo-Joon (Jo Bo-Ah) a brilliant hacker. They'll deal with anything from missing persons cases, murder, fraud, and corruption, uncovering truths with their skills. 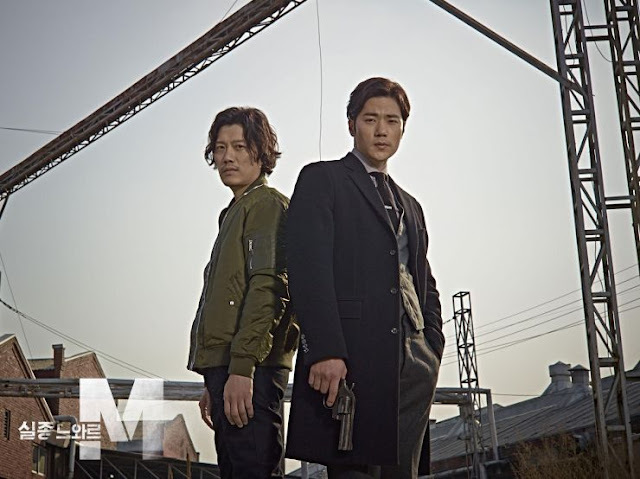 I always had my eye on this series but got caught up with other dramas when it first premiered and then left it, nearly forgetting about it but my sudden need to see Kim Kang-Woo in a series got the better of me so I began watching Missing Noir M recently. And what a show this has been! I absolutely love Jo Bo-Ah as an actress as well, wanting to see her in a role that didn't have her playing a cunning and conniving second female lead. It's a shame she's usually typecast into such roles since she impresses with her character Seo-Joon and makes me wish she'll take on a variety of more roles to showcase her talent. This drama is devoid of over the top melodrama, run of the mill romance, and generic tropes that are now trademarks for crime series. Mystery and crime as genres still provide leg room for unique material but we're getting a huge load of the same kind of Detective or Prosecutor. Since the drama is stripped down from the excessive, we're provided a show that depicts segmented stories as if they're a collection of true crimes unfolding. Each of the stories was engaging, complex, and well executed in terms of writing and directing and truly set each episode apart from the next. There's not much insight into our trio but when we are given emotional backstories, they're meaningful and timed quite well to coincide with an episode's theme or underlying message. 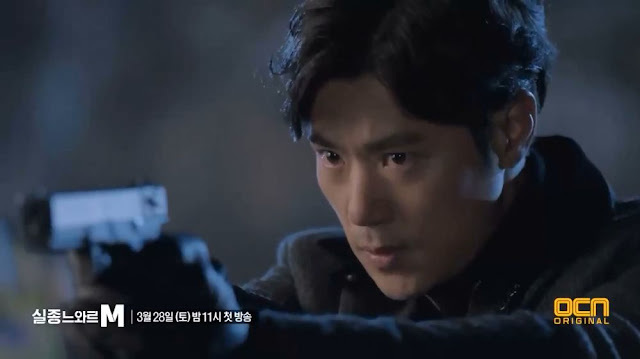 Soo-Hyun does have a dark past and his internal battle is easily expressed by Kim Kang-Woo who had me in awe with his depth during psychologically deep moments or emotionally significant scenes. And Soo-Hyun isn't the typical genius who boasts of his achievements or takes up time with a display of remarkable knowledge. We dive right into the heart of the cases with the necessary introductions and formatting for a pilot episode decently, if not quickly set up. What really sets this show aside from others is how it isn't muddled with subplots or stories that transition into other episodes. The crime stories are divided and different from each other while our characters stay true to their professional roles and aren't integral to each other's personal lives. The main focus here are the crimes and the methods in which the Special Investigations Unit use to solve them. Whatever moral and life lessons are learned, stem from the criminals and victims of these stories. I'd call this a real mystery series that'll be a classic in the future. With great actors, terrific writing, and compelling crime stories, Missing Noir M shouldn't go unnoticed any longer than it already has. I just hope a second season will be in the works after that rollercoaster of a finale that left so much unsaid! The drama isn't for everyone, but its mature feel and content are just right for those who want a series that centres on mysteries and crime only. If I'm not mistaken, after the series ended OCN was on a winning streak with the dramas that followed but this drama being a 'cable' show is fairly obvious considering the production. It isn't anything like the sleek OCN dramas we're getting now but it really goes to show how great writing and directing can resonate with viewers despite that. I am so glad you mentioned this drama. It is one of the first kdramas I watched and still one of my favorites. definitely deserves more attention and hype!